In reality we already reached this milestone at some point in the past. But since we only started counting breweries last June (see the blog post that prompted counting here) we can only now officially mark the occasion. I should also mention that we only count breweries the first time we go so all those visits to Rat Hole Brew Pub in Bend only moved the counter once. The number was at 97 when we arrived in Portland so we knew we’d be at the century mark real soon. Although this is our third trip to Portland we are severely outnumbered by breweries that are new to us. A quick search on Google maps in an area of town that we seem to have missed before found six breweries vying for the honor of significance. As it worked out, number 98 was Breakside Brewery. 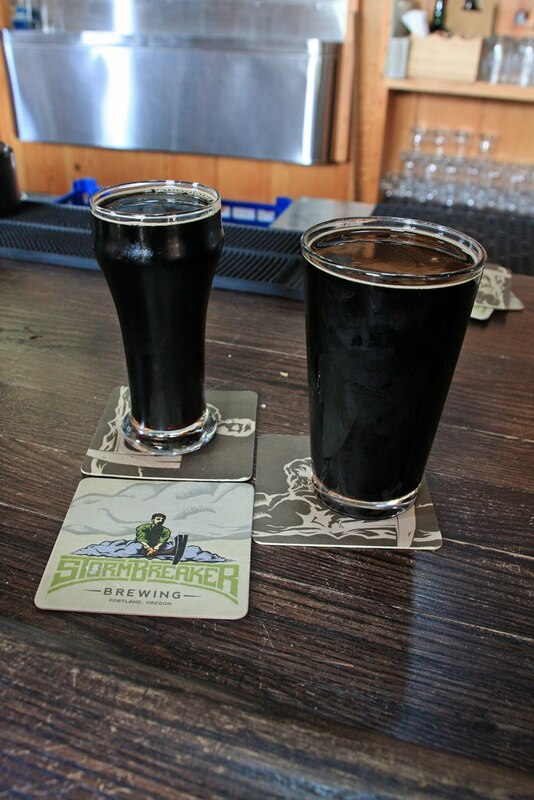 What they had for us was an Irish Stout – light in body and very drinkable. A good choice since we were determined to make the landmark this day and didn’t want to get too full too fast. Karen took an extra precaution by ordering a half pint. 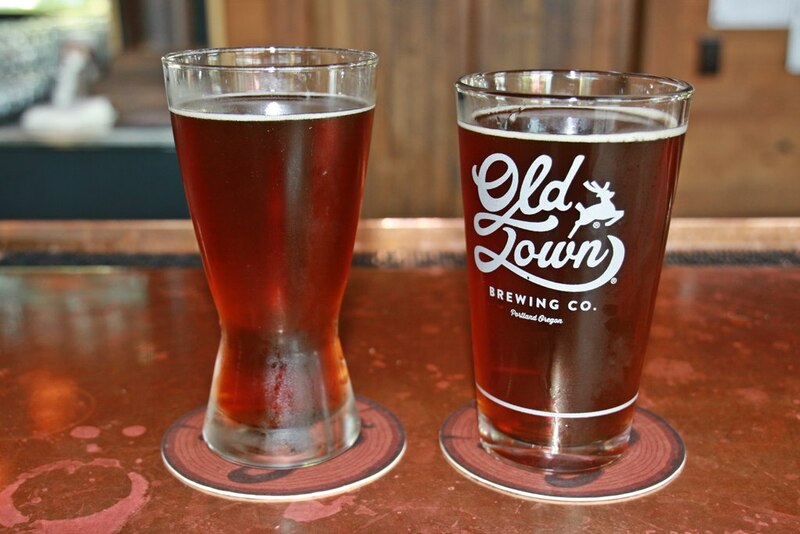 Old Town Brewing was just a few blocks away so it was an easy choice for number 99. This turned out to be a great choice for any time. We both had their Paulie’s Not Irish Red, which is actually a wonderful Irish red. Apparently, the name was inspired from a former employee who had to often explain that his accent was Scottish, not Irish. 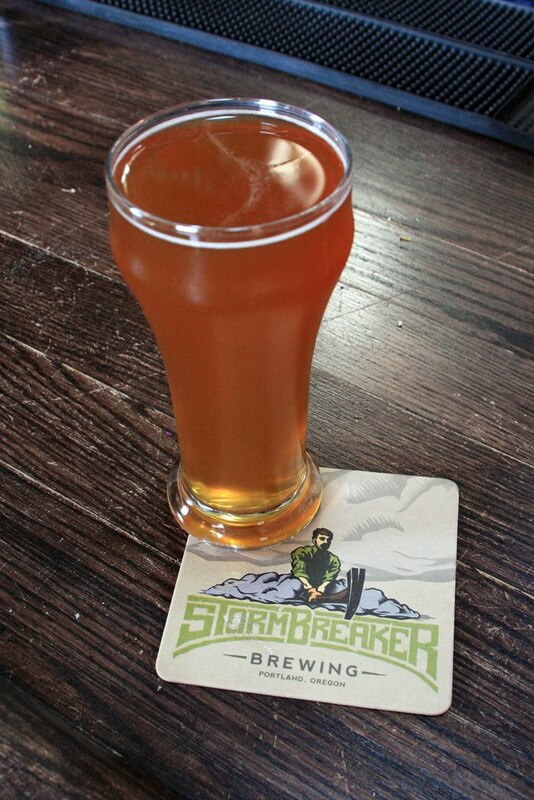 The choice for our one-hundredth brewery was made solely on its proximity to ninety-nine and that was StormBreaker Brewing. We soon discovered how appropriate this choice was because they are a new brewery, only open since February, and their beer is excellent. The location was once that of Amnesia Brewing but when they outgrew it, moved to Washington and expanded, they sold their old brewing equipment to one of their brewers so he could start his own – cool story! 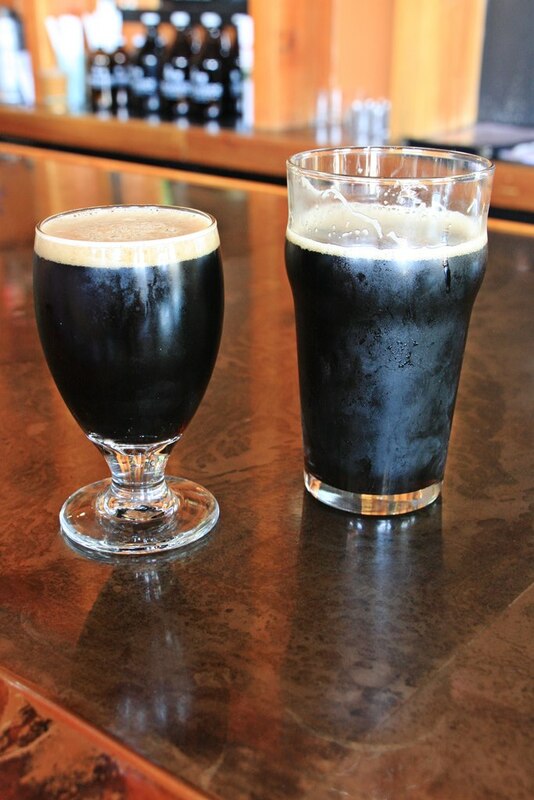 After a couple of tastings we both chose the Opacus Stout, Karen again opting for the smaller variety. We were just about to call it a day when we were offered a taste of their Mon Petite Cherimoya Belgian Pale. Oh my, that was good! 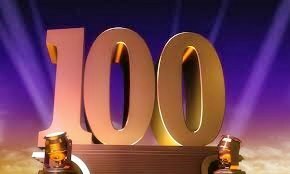 So we shared a half pint, acknowledging another new Oregon brewery and a toast to number 100. This entry was posted in Beer, Oregon and tagged Beer, Breweries, Brewery, Craft Beer, Motor Home, motorhome, Oregon, RV, Travel. Bookmark the permalink. Counting makes it more fun!